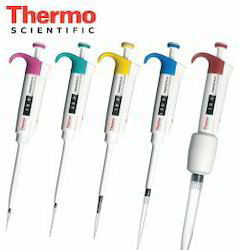 Pipettes and Micropipettes are used to measure and deliver accurate volumes of liquid. Labsys Research Pro Acompletes our range of micropipettes with the Fully Autoclavable feature while maintaining the light weight and ergonomic design and ensuring high accuracy and precision. # Click-stop digital system for volume setting. # Ergonomic Design ensuring light weight & soft plunger movement. # High accuracy and precision guaranteed. # Two step plunger operation allows "reverse pipetting technique". # Individual serial No. 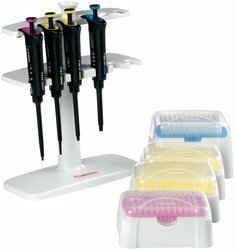 permanently marked on each pipette. # Color coded for easy identification. 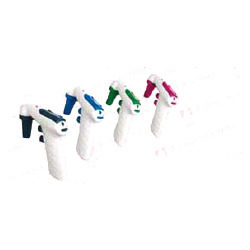 We are engaged in offering a wide range of Pipette Pump that is used for precise emptying and pipetting. It can be rotated to dispense and draw up the liquid. These pumps are offered in variety of sizes and shapes. These moulded pumps have a silicon rubber col-let inside to hold various standard size pipettes. It resists acid and alkali and can be easily dissembled while cleaning. 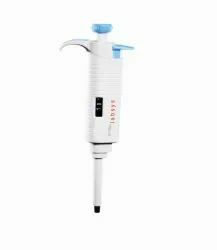 Being a client-centric organization, we are engaged in offering a distinct collection of Labsys Plus Pipette Filler. Offered range is designed for one hand operation. 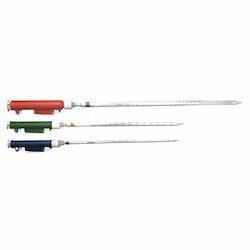 Pipette fillers improve workers' safety by eliminating mouth pipetting and handling of hazardous materials. High quality material is brought into use for manufacturing the offered range. 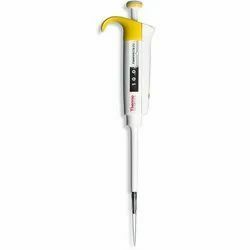 Looking for Micropipette & Pipette pumps ?